SINGAPORE - New laws will be tabled in Parliament some time this year to ban the sale of media streaming boxes with "add-on" services that help consumers access pirated content. This clarity comes on the heels of a three-year review by the Ministry of Law (MinLaw) and the Intellectual Property Office of Singapore (Ipos) of copyright laws here. The legality of media streaming boxes has been a grey and contentious area as copyright holders have found it difficult to apply many of the usual legal avenues created in the DVD era against set-top box retailers that benefit from the sale of "add-on" services. 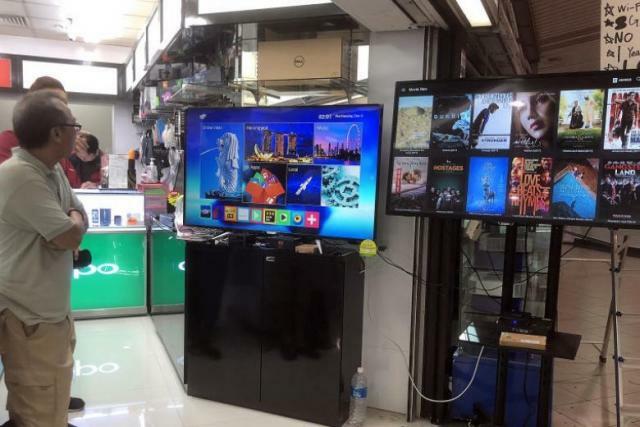 "We are of the view that legislative amendments are needed to both clarify our policy position and the actions that can be taken against retailers of such set-top boxes," said MinLaw in its Copyright Review Report issued on Thursday (Jan 17). "The measures, which are absent today, will make clear that acts such as the import and sale of such devices are prohibited," said the ministry in a separate statement. The review involves two public consultations, three town hall meetings and 10 engagement sessions conducted since August 2016. Feedback from various stakeholders - including consumers, industry and trade associations, businesses, intellectual property law practitioners and academics - were sought. Close to 100 formal submissions and more than 280 online feedback forms were received by MinLaw and Ipos. The new laws will impose civil and criminal liability on people who wilfully distribute or sell a product that can be used to access pirated content if the product is designed for such access or advertised as such. It will also be illegal to sell a generic device with "add-on" services - such as supplying website links or subscription services to pirated content. The Copyright Act was enacted in 1987, with major revisions last made in 2014 to allow content owners seek a High Court order to get Internet service providers (ISPs) to block piracy websites. Before the revised law, they could not compel ISPs to block pirated content. Last November, the High Court ordered eight new piracy websites and any others related to them to be blocked, bringing the total number of such websites blocked to just over 60. However, there was no move to ban the applications in media streaming boxes, also known as Android boxes, and the boxes themselves. Edited by StreetFight3r, 17 January 2019 - 05:35 PM. and i remembr this article on 7%gst for netflix and spotify. they can ban people from selling but can they stop everyone from watching completely? They are stopping another source of income. People will be pushed to their limits. Expect more robberies to come. I really don't like pirate movies. and that Peter Pan movie Hook. I prefer more adult educational type videos. Is it going to be effective? Ban ban ban. In ppl's mind they think the govt is trying to stop them from watching what they want. Banning is just so authoritarian and controlling that ppl will keep on trying to overcome such challenges. Piracy content started out from downloading music files to now media streaming. It has come a long way. Can anything stop it so far? Nope. The cat and mouse game is never ending. One of the issue is with our stinktel. Charging premiums to vendors to use their servers and facilities making cable/internet tv packages extremely expensive. Whoever is in charge of local media isn't thinking forward into the future. Their mindset of controlling and banning is still at Jurassic park. I sense a 6 letters abbreviation starting with a C ending with a P soon. If the powers that be are going to take 3 years again to review the next 'threat', then I am rather confident that they will always be behind the game. It seems that the call to productivity applies to everyone but the public sector. This took 3 years (I can see the spin about how they have to be 'careful', 'calibrated', etc. Call it what you want, not fooling me), took forever to study the matter of shared bikes until the private sector overtook them practically overnight (and still got it into one mess with the number of users who were left in the lurch after certain head honchos packed up and left, again practically overnight). Or am I mistaken and this is actually the public sector being more productive already. Cartel are most welcome here. Come come, screw my people. U can always go Msia and buy. very hard to control this, unless one is dealing with a bunch of ppl who don't use computers often. anyone can buy the empty box - even the one given by govt for our digital tv. then some smart entrepreneur will just have to assemble an apk then sell it to load into the same box and walah ! there you have it. Edited by Ysc3, 17 January 2019 - 09:43 PM. Singtel and Starhub no business already? Then why charge so high in the first place? Thats income gone for we-know-who! Big brother pritecting their interest! They are trying to control what we watch and where we get our information.......easier to manipulate if only from a few controlled source. Seems like going to lose votes from pioneer generation. SMLJ also want to regulate...F them la.